April 16 , 2018 — On April 9, Axel Baum was honored with a special award at the spring meeting of the United States Council for International Business (also known as ICC USA) Arbitration Committee in Paris. 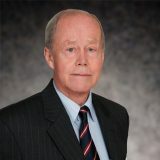 Baum, who has spent his entire career at Hughes Hubbard and opened the firm’s Paris office in 1966, also served for two terms as the United States’ representative on the ICC’s International Court of Arbitration from 2000 to 2006. He has participated in more than 100 international arbitrations as counsel, arbitrator and expert under the rules of various institutions.